The Mindful Marmot is a yoga adventure company. Our company's goal is to bring together two of the things we love the most: yoga and the beautiful Alaskan outdoors. Our company provides yoga classes and guided hiking tours in the stunning Seward, Alaska. Here in Seward we are surrounded by spectacular mountain ranges overlooking ocean views of Resurrection Bay. Our company provides outdoor yoga classes, guided hikes, and combination packages including helicopter tours and more, all to help you explore the beauty Seward has to offer. Browse through our different Guided Hikes, Heli Yoga, Yoga & Outdoors, and Retreat pages to find which outdoor adventure works for you! We are excited to be one of only a few companies world wide to offer the combination of helicopter flight-seeing with yoga. Join us for a breath taking flight over Seward and Resurrection Bay before we land in one of our remote locations and engage in a truly one of a kind yoga practice. This experience will definitely take your practice to all new heights! Check out our Heli Yoga page for more information about this once in a lifetime experience. So yoga's not your thing? Not a problem! We also offer guided hiking adventures. Choose from two different hiking locations and experience the beauty of Seward on a whole new level with the knowledge and safety of a guide. We have options that range from easy to difficult, and a couple hours to half day adventures. Our company is proud to cater to small groups, even solo hikers that are just looking for a hike buddy. And don’t forget to check out our Heli Hike option as well! Click on the button below and decide which hike is right for you! If you are looking for a guided hike but want to get some sea time as well, the Land & Sea Tour is a great option! We’ve teamed up with Seward Ocean Excursions to offer a boat tour of Resurrection Bay combined with a guided hike to historical Caines Head. 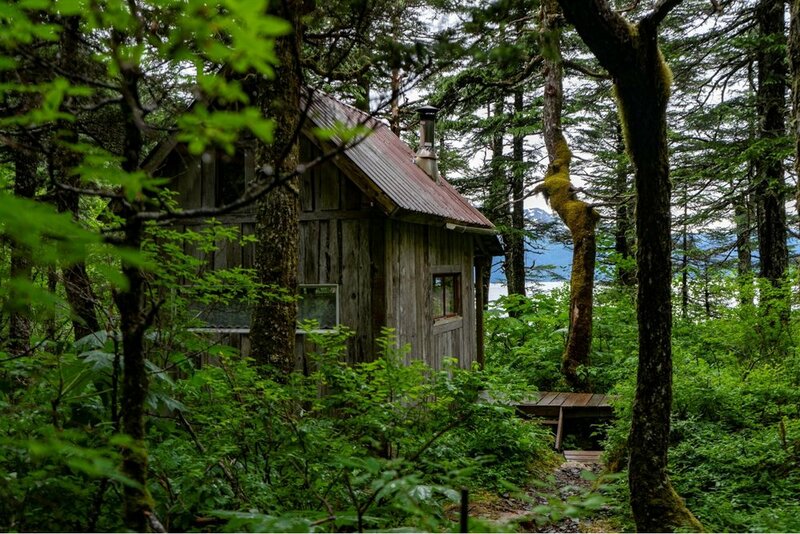 Tour around taking in the sights of Resurrection Bay including whale and other wildlife watching then hike to the top of Caines Head exploring WWII bunkers and then take in the incredible vistas at the top of Caines Head. Check out our Land & Sea page for more info about this great offering! Our Yoga & Outdoors packages allow you to bring your Indoor yoga practice outside. You have the option to combine yoga with a guided hike, or to engage in a class along the waterfront of Resurrection bay. During our yoga Practice you will be surrounded by breathtaking scenery of both the mountains and ocean. What better Place to zen out than gazing at the majesty of Alaska? Visit One of our yoga & Outdoors pages to find out more! This summer we will be offering Yoga Adventure Retreats. During these 3 day 2 night retreats we will combine yoga with different outdoor adventures such as kayaking and hiking. Enjoy your days in both the majestic bay and mountains located just outside Seward. Relax, yoga, and adventure with us during these amazing retreats. Visit our retreat site to find out more! We also offer private yoga instruction for people who are interested in a little one-on-one time. Maybe you are new to yoga or are dealing with an injury and aren't comfortable in a public class setting? With private instruction we can craft each class to exactly where and what you want your yoga practice to be. These private instructions can take place indoors or outside at one of our Yoga & A View locations. Click the connect button, or give us a call or email to set up your private yoga instruction!